When helping clients recently with their Power BI implementations, I have noticed that when talking to people about Power BI there seems to be some areas where there continues to be a log of questions. While it is easy to find a plethora of information about getting started with Power BI, when it comes to implementing a solution, the information is scarce. How do you handle releases? Should an implementation contain only one data model? Is Power BI’s data secured on the cloud? Is it required to have Office 365 use Power BI? Do you have to have Power BI Premier to have the Power BI run locally? tendency to change some of the available options. 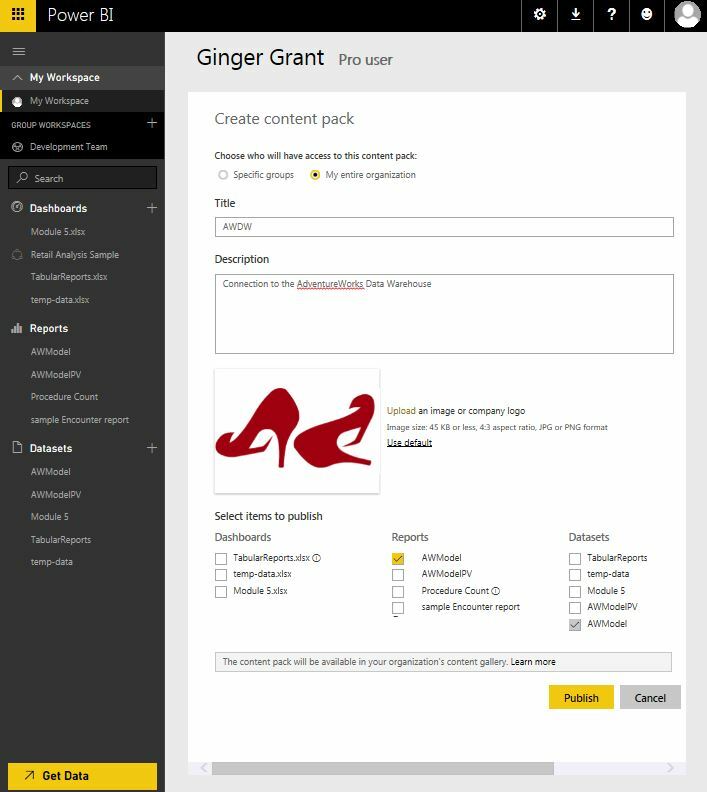 For example, App workspaces, the updated take on Content Packs released a few months ago, now offer a new method for releasing not only dashboards but the reports behind them and the ability to easily migrate sources. I am excited that I will have the opportunity to discuss the answers to the questions received by doing a full day of training at SQL Saturday Oslo. 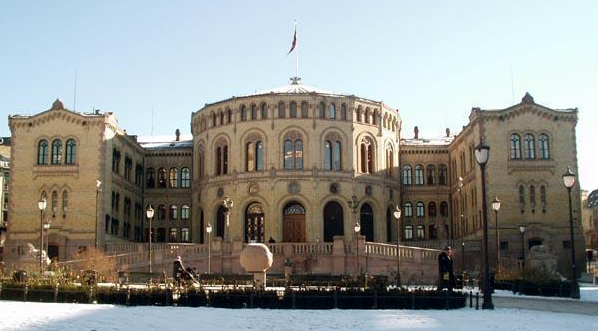 I am looking forward to visiting Oslo, which is home to the best preserved Viking Ship, an Opera House designed to be walked on and the home of the guy who painted the Scream. If you happen to reside somewhere where it is possible to make the journey to Norway, please register to attend this full day of interactive training. We will cover all of these items and go into detail about Power BI administration, security and new features and design techniques which will improve Power BI implementation techniques. For those of you who are unable to attend, I feel obliged to answer some of the questions I posed earlier. Implementations generally require more than one data model. Power BI is encrypted both in transit and at rest. 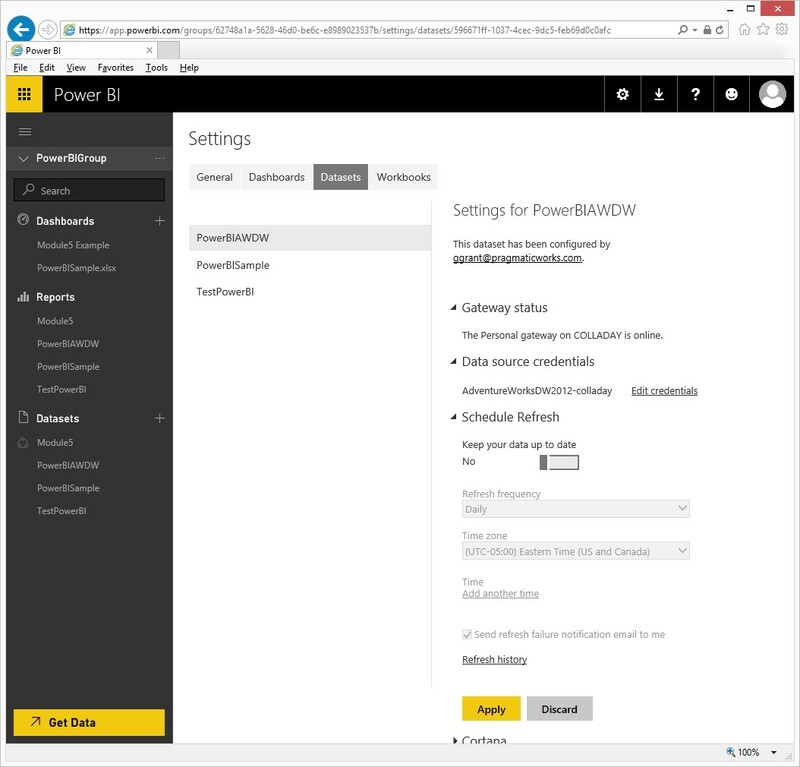 You do not need to have Office 365 to run Power BI. Power BI can be run locally with Power BI Report Server, which is part of SQL Server 2016 Enterprise with Software Assurance, and you do not need to sign up with Power BI Premier to install it. I hope to see you in Norway. As 2015 draws to a close, I started thinking back about everything that has happened this year. Technically this has been a big year as a many new applications were released. Here are just some of them, with links included to provide more detail. This short list could be a lot longer as it doesn’t count the number of updates released to Power BI, which occur several times a month, the CTP releases for SQL Server 2016, the new web version of BIML, or PowerShell. It’s really hard to keep up with everything that is changing. It’s a good thing that so many people are willing to help others learn how through speaking and blogs which make learning new things easier. Keeping up with all of these events is difficult, especially given the pace of releases. I spend a lot of time reading various blogs, watching videos and going to hear people speak. I also have been able to talk about topics of particular interest, many Power BI and Machine Learning. This year I spoke a different times at a number of different events including: Speaker Idol, two different user groups, seven webinars, five SQL Saturdays and other Tech Events. I’ve got a number of engagements on the books for next year, including PASS BA Con and SQL Saturday #461 – Austin. 2016 is shaping up to be busy too and hopefully our paths will cross. I list all of my speaking events on my Engagement Page and I hope that you might take a look at it from time to time if you are interested in catching up in person sometime. Next year I am hoping my list of speaking engagements changes somewhat as I plan on trying harder to get accepted to speak at events where I submitted and was turned down in 2015. On a more positive note, views of my blog are up 1000%, and the number of website subscribers has more than doubled. Thank you very much for continuing to read this site and I hope you find my thoughts helpful. I posted once a week this year, which I thought was pretty good until I talked to Ken Fischer b | t who blogs twice a week. I’ll have to try harder next year. If you think of a topic you think would make a good blog post, let me know as I am always interested in feedback. 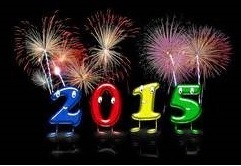 Next year there will be no slowdown in the things to learn as SQL Server 2016 is going to be released. Although the exact date has not been announced, my sources tell me to look for it around May-June. The next release of SQL Server is going to be huge as it will include new tools Microsoft added to integrate Big Data and open source platforms to SQL Server. PolyBase, JSON and R are all going to be part of with SQL Server. Personally, I find the R integration most Datazen and SSRS are going to be integrated in the next release too which should really increase the implementation of mobile reporting visualizations. Thank you for all of the people who signed up for my webinar on Data Analysis with Azure Machine Learning [ML]. I hope after watching it that you find reasons to agree that the most important thing you need to know to get started in Machine Learning is not Math, but having good knowledge of the data you want to analyze. There’s no reason not to investigate as Azure Machine Learning is free. In order to take more time with the questions after the presentation than the webinar format allowed, I am posting my answers here, where I am able to answer them in greater detail. How would one choose a subset of data to “train” the model? For example, would I choose a random 1000 rows from my data set? It is important to select a subset of data which is representative of the data which wish to evaluate. Sometime a random 1000 rows will do that, and other times you will need to use other criteria, like transactions throughout a given date range to be a better representative sample. It all comes down to knowing your data well enough to know that the data used for testing is similar to what you will be ultimately using for analysis. Do you have to rerun or does it save results? The process of creating an experiment requires that for each run you need to re-run the data as it does not save results. Does Azure ML use the same logic as data mining? In a word, no. If you look at the algorithms used for data mining you will see they overlap with some of the models available in Azure ML. Azure ML provides a richer set of models, plus a greater ability to either call models created by others or write custom models. How much does Azure ML cost? There is no cost for Azure ML. You can sign up and use it for free. Click here for more information on Azure ML. If I am using Data Factory, can I use Azure ML ? Data Factory added the ability to call Azure ML in December, providing another place to incorporate Azure ML analytics. When an Azure experiment is complete, it is published as a web service so that the experiment can be called by any program which chooses to call it. Using the Azure ML experiments from directly within Data Factory decreases the need to write custom code, while allowing the logic to be incorporated into routine data collection processes. If you have more questions about Azure ML or would like to see me present on the topic live and live in Southern California, I hope you can attend SQL Saturday #389 – Huntington Beach where I will be presenting on Azure ML and Top ten SSIS tips. I hope to see you there. I had an interesting conversation with someone at SQL Saturday Phoenix, an event that I am happy I was able to attend, regarding knowing math and getting started in Machine Learning. As someone who had majored in Math in college, he was sure that you had to know a lot of math to do Machine Learning. While I know that having really good math skills can always be helpful when creating statistical models based on probability, a big part of Machine Learning, I do not believe that you need to know a lot of math to do Azure Machine Learning [ML]. For those of you who cook, you may have heard of an old school way of testing to see if the spaghetti is done. You throw the spaghetti against the wall and if it sticks, the pasta is done. If it falls right off, keep the spaghetti in the pot for a while longer. 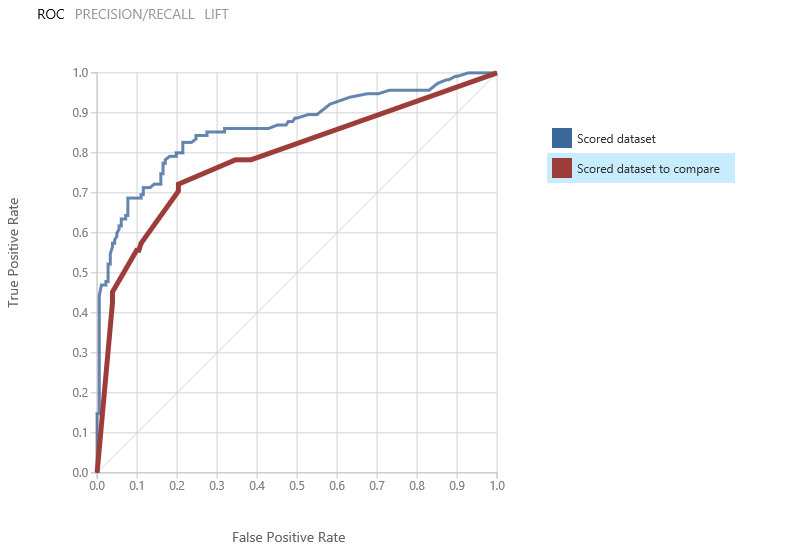 Testing machine learning models is similar, but instead of throwing the computer against the wall, you keep on testing using the large number of models available in Azure ML. Once you have determined the classification of your data, there are a number of different models for the classification which you can try without knowing all of the statistical formulas behind each model. I have listed all of the models from Azure ML here so that you can take a look at the large number of models available. By taking a representative sample of your data, and testing all of the related models, determining which one will provide a result is not terribly difficult. The reason it is not very hard is you do not have to understand the underlying math needed to run the model. Instead you need to learn how to read a ROC curve, which I included in my last blog post. While you can pick the appropriate model by having a deep understanding of the formula behind each model, you can achieve similar results by running all of the models and selecting the model based on the data. While Azure ML contains a lot of good tools to get started if you do not have a data scientist background, which recruiters lament not enough people do, why would you use Azure ML if you have coded a bunch of R Modules already to analyze your data? Because you can use Azure ML to call those modules as well and provides a framework to raise visibility and share those modules with people within your organization or the world, if you prefer. I am going to demonstrate how to pick the right model in an upcoming webinar, which is probably easier to explain in that fashion rather than in a blog post. If you want to see how to determine which model to use and not know a lot of Math, I hope you take the time to attend. Azure ML offers the ability to integrate analysis into your data environment without having to be a data scientist, while providing advanced features to accommodate those really good at math, which I will be talking about in an upcoming Preconvention event for SQL Saturday in Huntington Beach. If you happen to be in Southern California on April 10th I hope you will be able to attend that event. Recently I’ve started working with Azure Machine Learning and looking at what I consider the most challenging part, picking the right analysis. For those people who haven’t ventured into Azure Machine Learning, it looks a lot like a data flow in SSIS. After that you need to train or more to the point evaluate which model works best. The answer to that question takes a while. What kind of data do you have? Are you looking to find errors? Determine whether data classified in a certain way can predict a result? Perform a regression analysis of data over time? Group data together to identify trends? Is your Model better than a Monkey throwing Darts? While you can analyze your variables and rank them to determine the chance that the variables indicate a result, there is another method that is also used to determine an outcome, the coin toss. This lowly method of analysis is right half the time. If you have more than two outcomes, or to speak the language of Machine Learning, the outcome is not binary, there is another method used to determine the accuracy of predictions, monkeys. I have read about the various skills of monkeys in both literature and financial analysis. Think about it for a minute and you may remember reading or hearing about monkeys typing on a keyboard who have been able to write Shakespeare, or a blog post. This is known as the Infinite monkey theorem. Another thing monkeys have been known to do is throw darts. Various financial publications have been measuring the success of mutual funds to monkeys throwing darts at stocks since the last century. The goal is of course to create a model that has the better success as a monkey or a quarter. The question is how? ROC [Receiver Operating Characteristic] Curves are used to ensure the machine learning model generated is better than a monkey throwing darts. Your goal is a perfect game of golf. Chances are your ROC curve will be somewhere between the two. In looking at the ROC curve generated here, you can see 3 lines, a light grey, a red and a blue one. The diagonal line represents a coin toss. If you were able to get one of your scored datasets to be a 1, meaning that you got a true positive rate every time, you would have played a perfect game of golf. Chances are you will have two lines like I do here and one, in this example the blue line, has a higher number of true positive rates than does the red line, so the results generated by that model are more accurate. I find myself spending more time with Azure ML, meaning that I will be devoting a lot more future blog posts on this topic. I am also speaking on Azure ML both as part of a Pre-Convention Event on the Modern Data Warehouse and at SQL Saturday in Phoenix. If you happen to be in Phoenix, I would love to meet you. SQL Saturdays are great learning events and I am happy that I was selected to participate in this one. There are times when the results aren’t nearly as important as the process of doing as people learn things from figuring out what not to do. This applies if you are troubleshooting why your project isn’t working right or when your database crashes in the middle of the night. Knowing what not to waste your time with is the key to getting things back up and running. It’s the knowledge that you have gained doing the little things that add up to being the person who can fix things quickly. Often times, the little things add up to something big. It appears this has happened to me. I was most honored to be included in SQLServerCentral/Simple Talk Tribal Awards Finalist in the Best New Community Voice category. To be recognized among all the other people who speak and write about SQL Server is quite an honor. The only way that this could have happened is a myriad of people that I’ve met while speaking at various community events and reading this blog remembered my name when looking at a blank line on the Tribal Award. I was so surprised when I saw that my name was listed on the award I nearly fell out of my chair. To everyone who thought enough of me to enter my name in the Best New Community Voice thank you. I really appreciate it. Regardless of the outcome, especially given the other nominees in the category, I feel that I already won. Being a finalist is a real honor. After all there are so many other people who are also really involved in the community. I’ve been fortunate to visit with many of you who I’ve met either online or at various events. Thank you so much for to the people who thought of me, as I really appreciate your kind thoughts. This process mattered as much as the result, what ever it turns out to be.